Earlier this year, I had the privilege of speaking at The Progressive Youth Ministry conference. 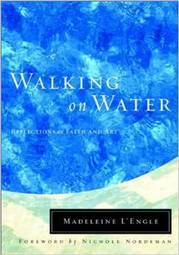 What the book's about: Walking on Water is about the intersection of faith and art. It's not a "how-to" manual, but instead, a series of beautiful reflections about encountering God through art and about the divine inspiring art. On my youth ministry's recent mission trip to Milwaukee through Youth Works Missions, we spent an evening with Life Changers International – a ministry to former gang members in inner city Milwaukee. Every ministry has a sacred cow. Sometimes sacred cows need to die. But how do you kill a program in a healthy way? During my youth ministry's mission trip to Milwaukee through Youth Works Missions, we spent time serving at Adullam. While there, we got to be part of Katie's Closet. Did you know there was a genocide there? During a recent mission trip, I asked various leaders to share their faith stories with everyone. I'm thrilled to be guest posting at Rachel Pieh Jones' today as part of her fantastic series, "What I Learned." Ask me to describe a refugee camp and I’ll start with the smell. 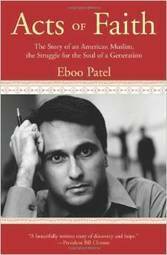 What the book's about: In Acts of Faith , Eboo Patel chronicles his journey to embrace his Islamic faith. In the process, he shares what he learns about the importance of religious pluralism, including the inception of the Interfaith Youth Core. One of my congregation’s pastors left in March. Since then, I’ve feared people would assume I’d take on many of her responsibilities since she and I worked closely together. 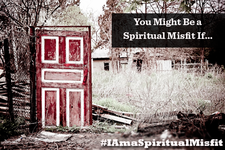 Last week an article on Leadership Journal entitled From Youth Minister to Felon made it's rounds in the Christian blogosphere.